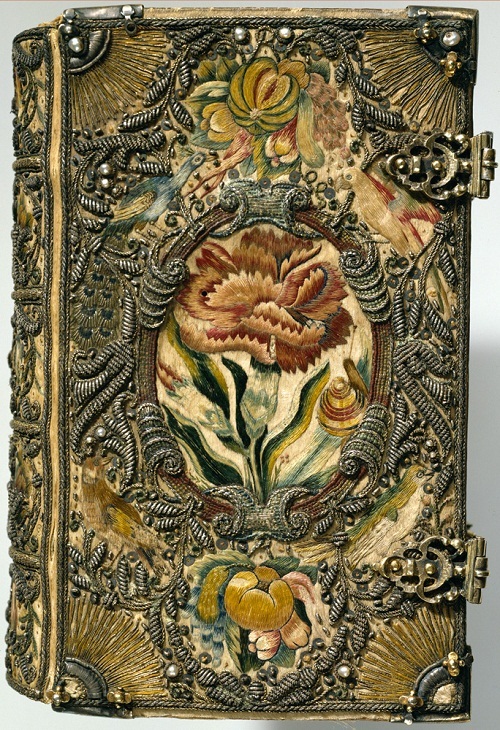 Undoubtedly, book covers and bindings from the 15th – 18th century are a real piece of art. 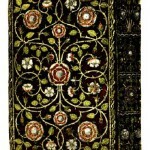 Decorated with pearls, and even precious stones over wooden boards, silver filigree or embroidery. 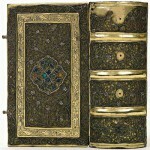 Generally, these books are small in size, and are usually copies of the Bible or the Psalms. 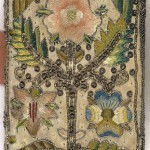 The canvas in these cases – embroidered all over in small tapestry-stitch, and the design shown by means of the different colors of the silks used. 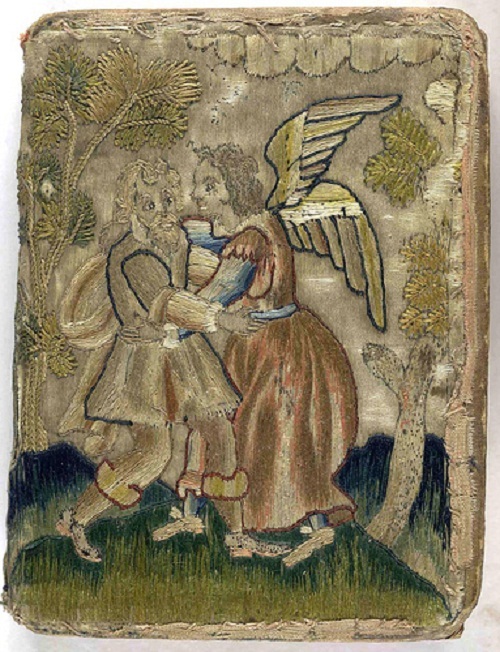 Such a beautiful art is the work made by professional embroiderers, who even had their own guilds in some towns. 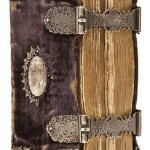 Besides, often books bound in this way are in excellent condition. 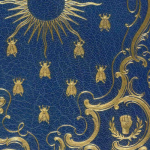 Decorative bookbinding is the art of enclosing the pages of a manuscript or printed book in a covering that is ornamental rather than merely protective. 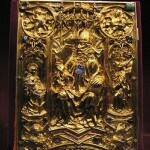 The art originated in the monasteries of the Coptic Church in Egypt, perhaps as early as the 2nd century AD. 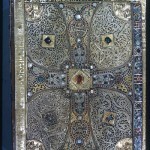 In particular, at a time when the codex (manuscript book) was taking over from the roll or scroll, stored in a cylindrical container. 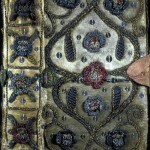 The Coptic craftsmen used Leather-covered boards decorated with stamped or incised patterns. 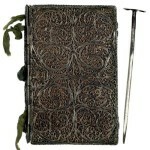 However, in the West soon used much more elaborate and expensive materials. 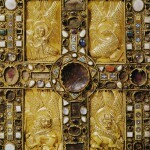 From as early as the 4th century, monastic craftsmen used gold, precious stones, ivory panels, and enamel plaques. 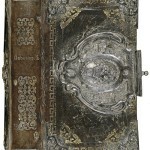 And also clasps that were necessary to keep the vellum sheets, with written manuscripts, from buckling. 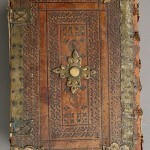 From about the 7th or 8th century, leather became the normal material for all but the most expensive bindings. 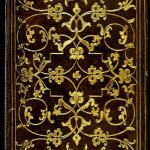 Gold tooling became the normal form of decoration in the later 15th century, and the great 16th-century French bibliophile Jean Grolier popularized the practice of stamping book covers with names and mottoes as a mark of ownership. 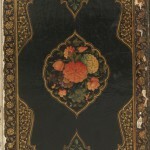 The style of decoration varied greatly from this time onwards, reflecting trends in the other visual arts, but geometrical, interlace, and floral patterns have been particularly popular. 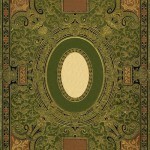 Before the 19th century it was the normal practice for publishers to issue their books in sheets, so that booksellers or their customers could have them bound to their own requirements. 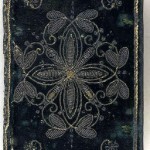 From the 1820s, however, publishers began issuing books in simple cloth covers, known as trade bindings, the start of modern practice. 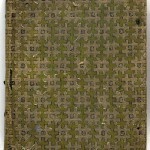 Detachable paper jackets for books became widespread during the 20th century. 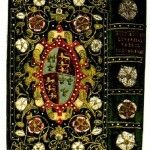 These jackets created a recognizable ‘house style’ for publishers and in Britain many distinguished artists (including John Piper and Graham Sutherland) have worked in this area. 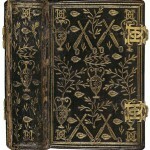 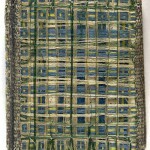 Fine binding has continued as an art, particularly in France, which has a rich history of bookbinding. 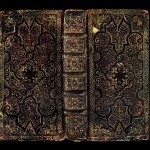 Book of the Gospels, the images symbolize Sts Matthew, Mark, Luke and John.